We made these sour cream container look alikes last year for Valentine’s Day. This simple design allows for lots of creativity. 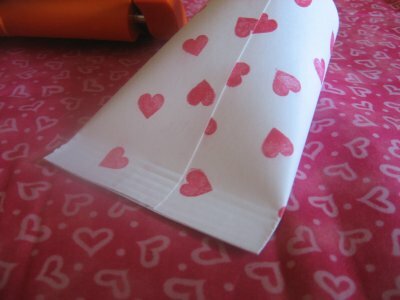 We used white cardstock that we stamped with hearts, but colored papers, paper with your writing and drawings or other decorative papers or materials (wallpaper etc.) could be used. We started with half of a sheet of cardstock. 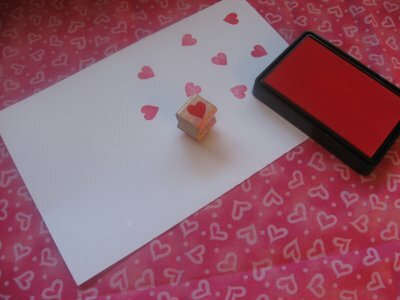 We then stamped hearts on the paper. 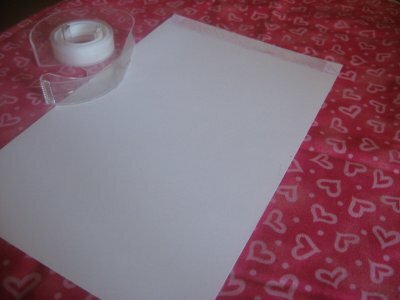 Put double sided tape down the short side of the paper. Then roll the paper up to make a tube. Gently squeeze the tube on one end. 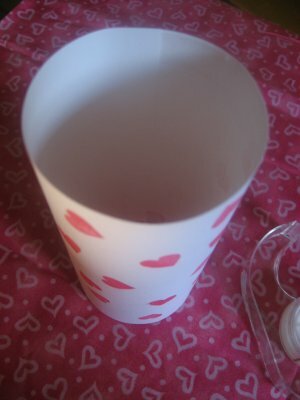 Place a piece of double sided tape at the end on the inside so when you squeeze the end all the way shut it will stick. Squeeze the end shut. 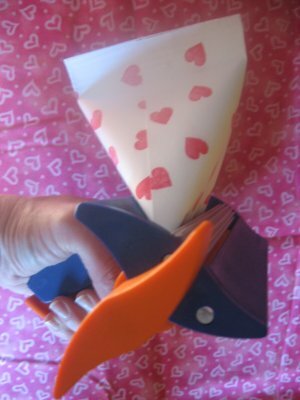 Take a paper crimper (This thing is a HUGE hit with my kids—well worth the bucks!) and crimp the end closed. We crimp enough into the container that we have 4 or 5 crimping lines. Fill the container with treats and or some trinkets. Now gently squeeze the other end in the OPPOSITE direction. Put tape along the inside at the end and then crimp shut. The crimping really makes it look just like a sour cream container. What a great idea! I have a crimper, so I will be doing this for my grand children this year. Thank you so much for sharing your talent. and i dont know where to buy one but its a realy good idea and it looks preaty cheap too.its adorable and a great treat for little kids that just love the holidays that mean love and sharing! !thanks for the idea!! A few posts asked what else a paper crimper can be used for, I actually cut some pale yellow paper into some odd shapped circles and then crimped them. They looked GREAT as potato chips on an invitation. This is like the cutest idea EVER! Looks pretty simple too! Thanks for the how-to! I had totally forgotten that sour cream used to come in packets like that. lol What a nifty idea! What size is the piece of paper that you used to make these? thanks for sharing it ! I will have a go as soon as I´ve finished writing these lines...thanks again !!!! Those are awesome! They really do look like the sour cream that you get in school. wow, what a great idea!!! thanks for sharing. This is really neat! I'm anxious to try it out . this is awesome - I need a crimper! what should ii look for when I buy one???? 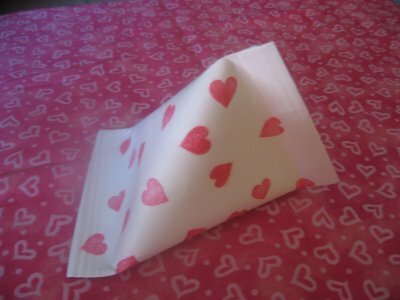 I am waiting for my crimper to arrive in the mail and then we will be in business to make our Valentines for the year! I love this idea! Amazing! What a good mom! 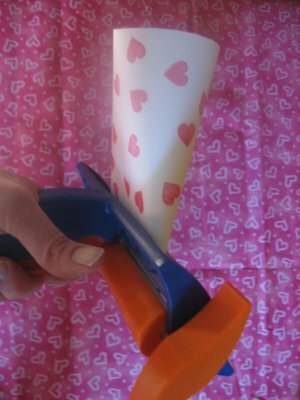 I want to come over for "sick day" next time and make lollipops and use the crimper! Fun!